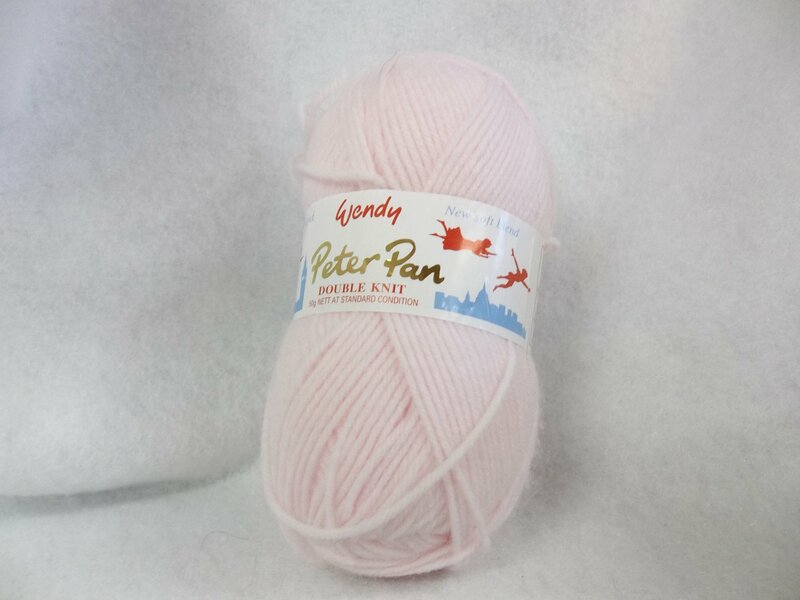 Peter Pan Double Knit is a wonderful choice for children's clothes or adult lighter weight projects. Each skein contains about 170 meters. Machine wash cool and tumble dry cool. 55%nylon and 45% acrylic. Knits to 24 sts. to 4 inches on a US 4-6.